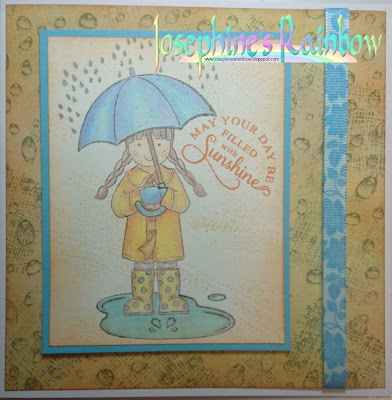 As usual anything you care to enter is fine, a card, scrap layout, mixed media piece, some home decor, as long as it meets the Water theme. 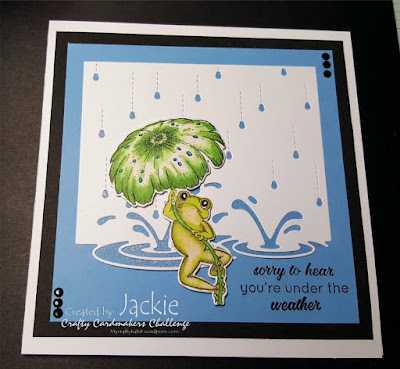 I've used stamps from Creative Stamping magazine, along with a sentiment from Creative Expressions for my image which I coloured with pencils. The background uses more stamps with Distress and Versacolor inks. 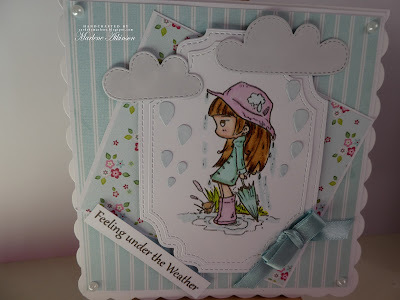 The insert adds Whatever the Weather to the sentiment. My card uses a die for the white background over a blue mat and a heartfelt creations stamp, cut out and coloured with promarkers. I used a old rubber stamp from my collection by Stamps Happen, Inc called Mother and Son. 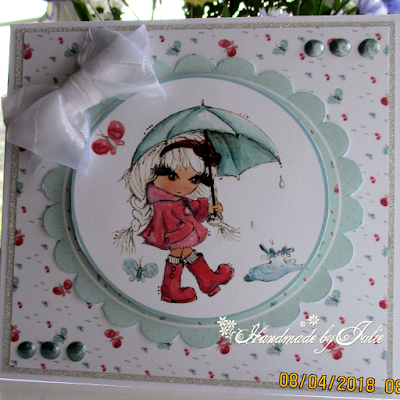 I coloured the image with watercolours and added a computer generate sentiment along with watercoloured hearts and a ribbon to complete the card. 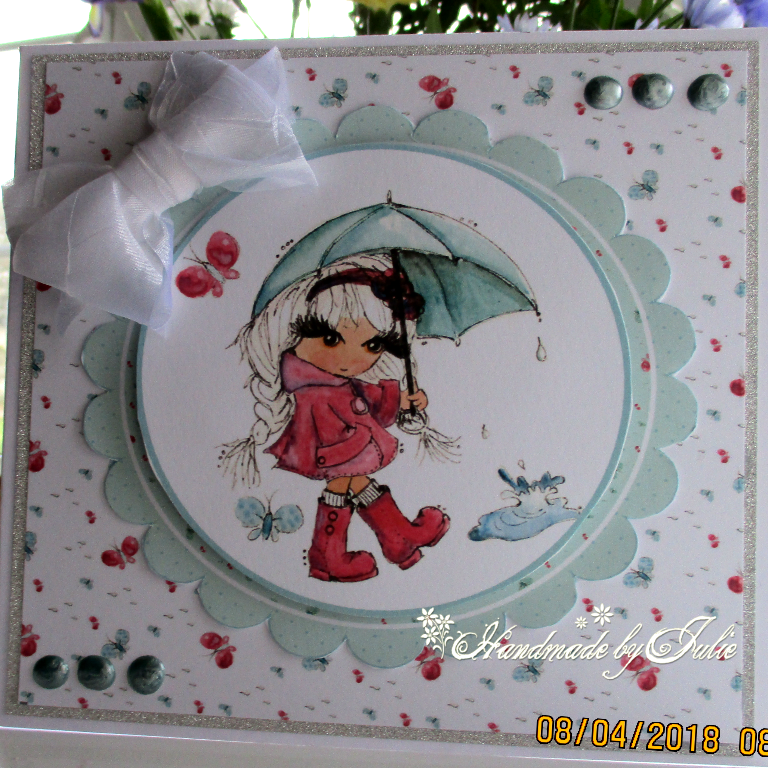 I've used a topper & patterned card from Kanban, assorted paper flowers, some die cut foliage and a computer printed sentiment. I finished with a die cut butterfly & some faux pearls. For this challenge I used Nessie, the Loch Ness monster. He lives in the deep water from the Loch. I colored it with Copics an added the water in black because the Loch is dark. A very clean and simple card. 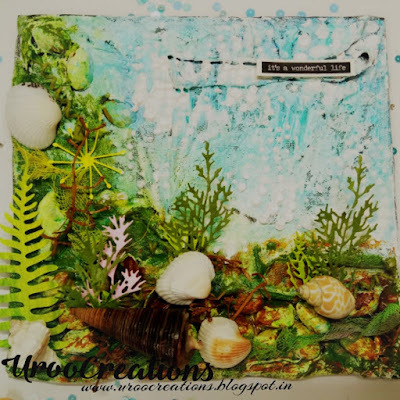 I chose to create an underwater theme project. I altered an old wooden base into a mixed media canvas.I made it using some Lindy's sprays, texture paste and acrylic paints. 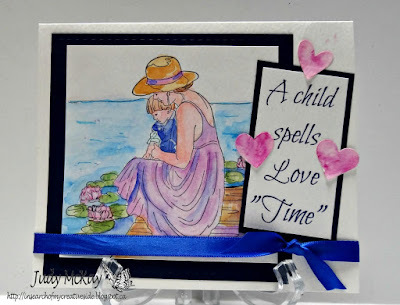 I used stencil from iCraft. 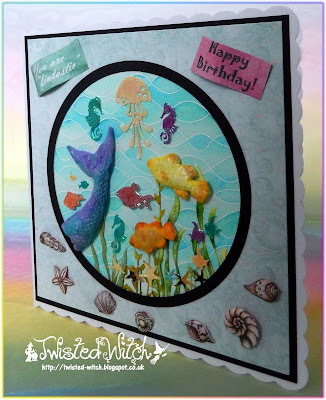 Added some foliage, leaf die cut, colored cheese cloth and loads of sea shells. 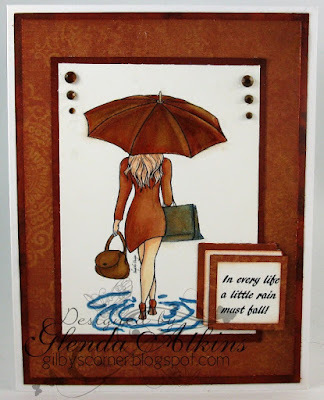 Please click on my name above, to see an easy and step by step tutorial for making this mixed media canvas. Happy Crafting. I decoupaged an image from Hunkydory's Little Square Book of Manly Moments matting it onto navy mirri and white card and adding a sentiment using black peel offs. 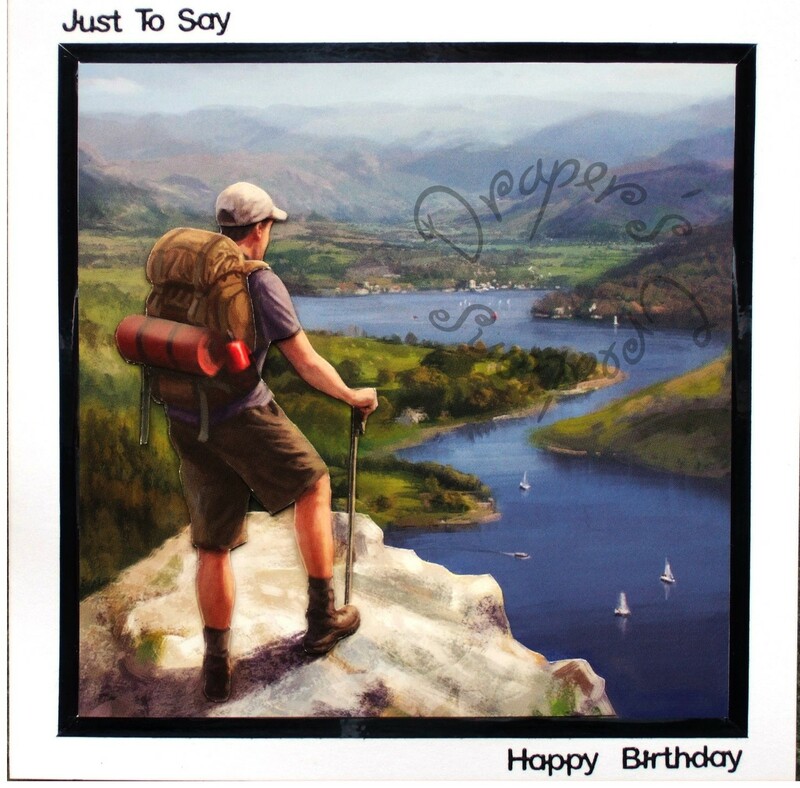 Image from Sheepski Designs, coloured with Copics and the sentiment designed on Word. 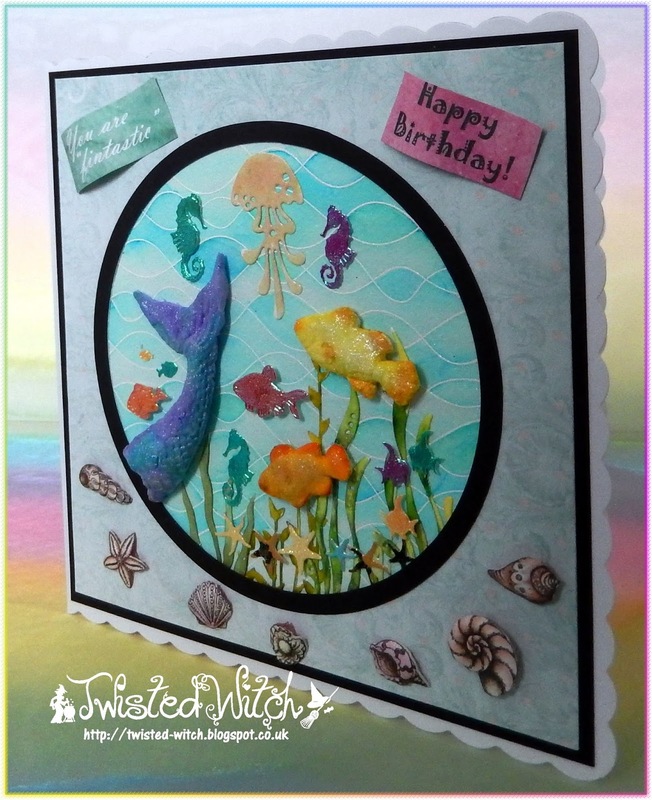 For my card I created the 'water' background with Lindy's Stamp Gang Magicals, the 'seaweed' with the Garland Thread Die by Altenew and, as I had no suitable stamps, the 'fish' is an image found on the net. 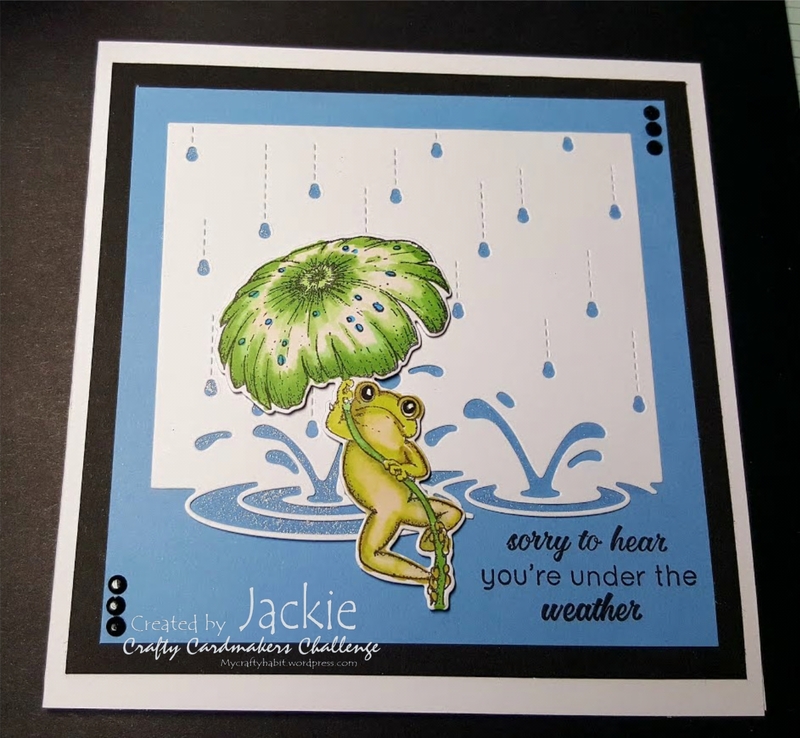 Used a few sticky back pearls for the air bubbles and the sentiment is computer generated. 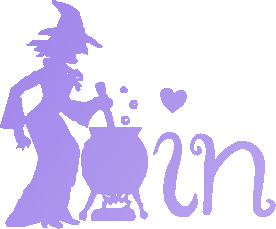 For all the details, please see my blog. Have a lovely day! I have used Scruffy Little Kitten CD from Crafters Companion. 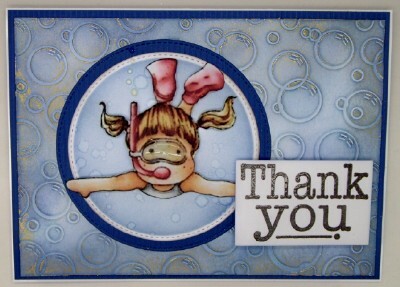 My Granddaughter Emma is moving up to the next level in her swimming lessons which means a new teacher, so this is to say thank you to her old one. 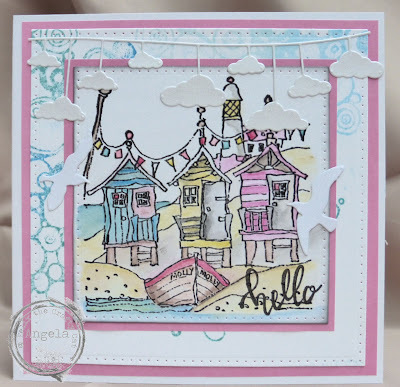 A beautiful mixture of creativity from the Design Team, something for everyone. Thank you for sharing with us all.